You know I love you, right? I mean you make my thrifting dreams come true so very often. If it wasn’t for you, I never would have found some of my greatest treasures. I would be without my cool typewriter collection, my vintage cameras and many many more great items. 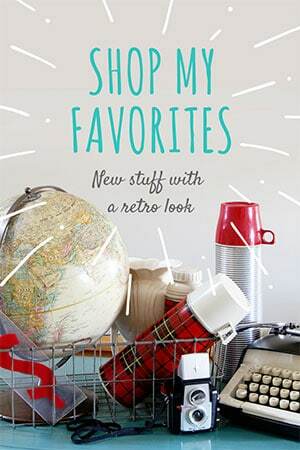 For the most part, you look out for me and my vintage-loving thrift store shopping friends. But, I gotta tell you something. The kind you use to bind all my vintage treasures together? It’s got go. Got. To. Go. I can see where it would be enticing and a little exciting to just keep circling my items with packing tape. Again. And again. And again. Let’s make sure that lid on the Pyrex bowl is not going anywhere. Ever. But we really have to break your love affair with the roll of tape. You know I can’t resist buying something at a great price, but when it takes me an hour to dismantle the tangled maze of tape off my vintage Cosco folding step stool . . . it’s too much. When I have to spend an eternity using a q-tip and Goo Gone to carefully get the sticky reside off my set of china . . . it’s too much. When it rips the paint off my lovely croquet set . . . it’s too much. Just lay off the tape. Please. P.S. We can talk about using black grease marker to tattoo prices on the front of books some other time. The amount of tape used at most thrift stores should be a punishable offense but the worse is pricing with markers that cannot be removed. Finally! An answer to the packing tape irritation. Hope it works on plastics. i think the worst is price tags or whatever is used for pricing and it tears off part of the item.i HATE that!!!! Preach it Girl!! I agree with every word! They could come down on their prices if they didn’t have to keep buying tape! Awe.. I know exactly what you mean….. Absolutely !! Thrifting = heavenly! Well said! Now if they would just listen. I hear you, loud and clear. It annoys me too. And don’t get me started on the books. Oh, dear. That’s too bad that they use tape at your favorite store. Have they never seen the packaging cling wrappy stuff on a spool ?? 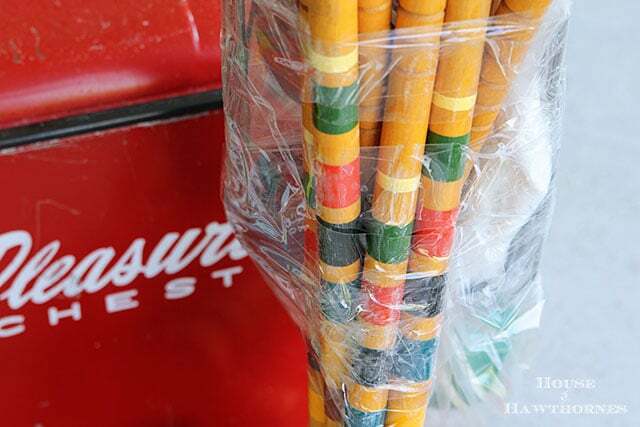 That’s a dirty trick on the croquet set. I wish they would just ‘get it’ for once! Can you please forward this to thrift stores across America? Please? Pretty Please? Yes! This is among the many things I would like to tell the thrift store workers. If only there was a way we could relay this super important message to them! I am going to write a letter to my congressman. That should work, right? I work at a thrift shore and I here you. We never use tape. But our price tags are all full . Not as bad as good will or as big but I have had some complaints . We get them for free so what you going to do. So I’m really happy to here about the hair dryer. I will tell my customers . Thrift in my friends. LOL, OH MAN, great letter. If there is a petition to sign or something just say the word, and I’ll sign. Tape has ruined more than few of the items I’ve brought home. grrrr. Oh my gosh, this is hilarious! And so true. Hopefully they will take note. Can I join the club? And don’t you love when they put industrial strength stickers on paper items or on books? My thrift store has a love affair with tape as well. Arrrr! If WE worked in a thrift store, and we couldn’t possibly, because we’d bring everything home, we would never do that. I seriously don’t know how someone could work in a thrift store and tape the hell out of stuff to the point that the item could be ruined. I think they lack empathy. Plain and simple. They lack empathy. Wow that is quite something. I could see where you would be upset having the tape pull off all the neat looking paint. Do they wrap it before you take it home? If so I’d ask them not to wrap my stuff up like that. If there is tape or a tag on something that could be ruined by its removal, I will take the item to the cashier and tell them I want to take the tag off in front of them so I can make sure it’s not ruined upon doing so. If it’s ruined, I’m not buying it. Perhaps you can say something to the manager of that store ? Oooh, Patty’s got a good idea there. I don’t like when they put the price sticker over the damaged area. Be honest….if it is damaged, let me know. 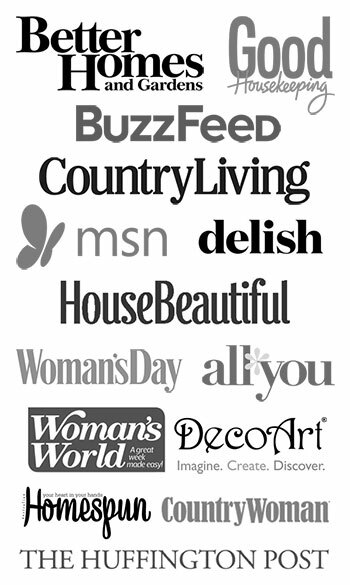 Goo Gone is my hubby and my go to for a LOT of messes!! I totally hear you! It kills me when they use that packing tape or even write on the items with a permanent marker. My Value Village marks vintage sheet music with a black wax CHINA pen! in huge numbers! There is NO way to get it off…..arrrrgggghhhhh. It’s lasted 80 years in perfect condition till it hits Value Village! I hear ya, Pam! I just bought something that’s got tape adhesive stuck to the sides and I hope I can remove the goo without taking the paint off, too. I’ve been unable to leave comments (google? ), so I’m giving it one more try today….. I have to admit this cracked me up because it is so true! 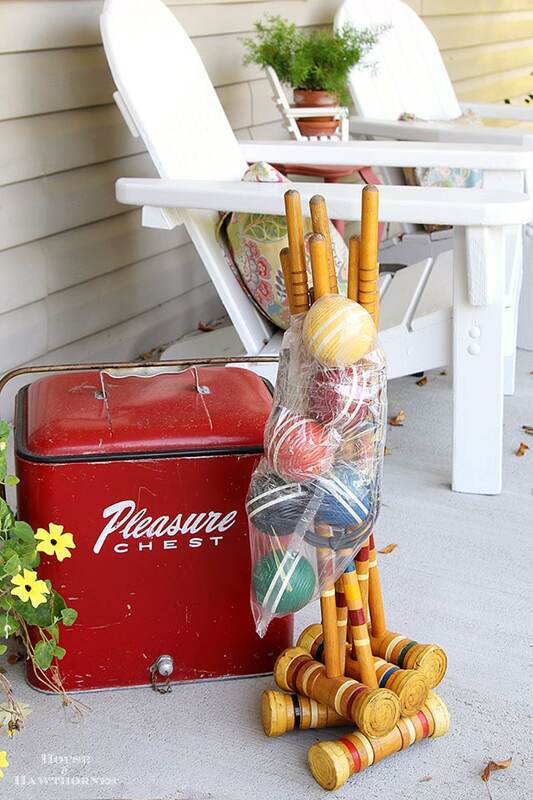 However get this… our thrift store will sell each ball separately for a croquet set. Seriously, the mallets are bundled up as a set, the wickets another “set” and the balls are sold individually for $0.49 – $0.99. The average price comes in at over $15 if you manage to get the entire set. It was/is crazy! I think they are trying to make up their tape cost overruns! A sad kind of chuckle here at the cluelessnees of people. Totally spot on and hysterical! I totally agree with all these brilliant comments and the original blog. So true, so true. May I offer an idea to help spread the tape free environment. I have been helping run a non profit thrift store for 3 years, we are tape free and very aware of tag placement etc… At your favorite thrift store, offer a roll of the shrink wrap to the manager, offer to help work a shift in the backroom sorting, sharing the thrifters insight with the workers, or even bring a plate of goodies to share with them to sweeten the word. Most of the shops are non profit, or at least the workers are underpaid, or like my shop all volunteers working to earn money for programs for women and chiidren. As I remind myself often, these are first world problems, worthy of a chuckle. 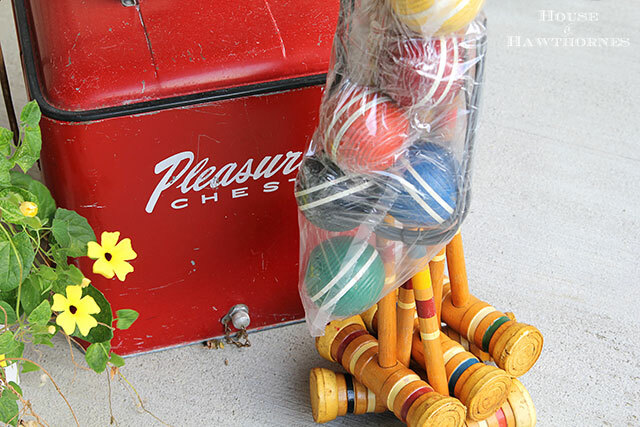 When I was in that same thrift store on Friday, the girl at the checkout who follows my blog (we chit chat when I’m checking out and she was always asking me what I was buying “that old thing for” and I finally showed her my blog one day) asked me if I had bought the croquet set there. I told her I had so she called over the manager and someone from the back room and we all discussed tape 🙂 I think we may have solved the tape issue in that particular store. I missed this post when it came out, but had to comment. I have had tape take of gilding on ceramics, ruin books and other paper items. My peeve is the placement of the price tage on the maker’s mark, no matter where it is on the bottom. Really? You can’t place it to the side? I have to sadly say that there are SOME workers who know exactly what they are doing to be vindictive, since there can be no other explanation. Come on, people. If a piece is old, show some respect since the people that are purchasing want the best condition they can find. Perhaps we can forward your column and the comments to Goodwill and the others. Thanks for the post! I may print out your post and hand it out to the store in my area! GW is the WORST offender! One more? What about the plastic t-style tag holders that they use the needle-type gun to shoot into garments? Some stores will stick the plastic tag holder into the seam where it doesn’t injure the garment BUT … there are those stores who will just cram it right through the sleeve or placket or collar and create a run or make a hole (like in leather) that won’t/can’t heal. Oh my. Such a waste of a beautiful item. So much sadness. Yes! Exactly! And price tags smack in the middle of a mirror when there is a whole backside that will never be seen once it is on the wall. Why???? Try heating with a blow dryer (not close, not on high) first. I have found this works on most items, at least to the point of tape coming off without destroying the item. Great topic! I’ve purchased a few old leather items which were ruined when I removed the tag. Also have removed a tag at the checkout in front of the cashier and decided not to buy the item.When I worked for the GW I was very concise of how i tagged as I am now in my booth I like the idea of sweetening the suggestion at your local thrift! Amen on the packing tape. Here are my 2 complaints. Stapling the price tag I into the leather purse and putting the price sticker right in the middle of the beautiful silver plated tray! Glad it’s not just me! Staples!!! What is with that! I bought a beautiful crocheted handbag from the 70’s and they had stapled the price tag on it so when I tried to get it off it snagged the yarn! I agree with you and every word!! However my pet peeve is the damn price tags/stickers that they go crazy with. They put them everywhere as if we can’t see just one of them! ugh! Then they are impossible to get off of some things without using goop. Thanks for the subject! I had to vent too! YES!!! Why a sticker on the bottom and two on the top and one on the side? I can read ONE sticker just fine, thank you! OOOO! Price tags on the bottom of china plates and cups make it IMPOSSIBLE to identify the makers mark. If I’m looking for antique bone china, I’d like to identify it right away without having to discreetly peel back the price tag and risk being called out for tag swapping. As for old sheet music, some stores put them in plastic or acid free sleeves and mark the sleeves, not the music. Much nicer to those of us who like to frame and display our finds. I have to say as a thrifty shopper, I actually love the packing tape on the items, it’s so frustrating to have my local thrift stores sell pyrex without the lids because some unattended child or careless shopper just broke the lid and ditto to the other items that are sets only to have a child carry part of it to another part of the store where its either broken or lost forever. Packing tape is my friend, yes it’s a nuisance to have to remove–adhesive and all–but at least the sets would stay together. Our thrift stores here just don’t use much of it. When I donate, I use my packing tape so they my sets WILL stay together without breaking. That’s a positive spin on packing tape if I ever heard one 🙂 I just wish they would put paper underneath the tape so it doesn’t pull off the paint. My store has gotten MUCH better with using it sparingly though! 1. Price stickers put onto the top of an old leather covered desk, or directly onto a paper print (framed, but with no glass) so that the green and gilt leather finish or part of print come off with the stickers. 2. I have no problem with a pair of lamps or candlesticks being priced separately, but I often find parts of the SAME ITEM priced that way. Example: I found a pair of marble urns, took them, and as I walked around the store, I found their matching LIDS on another shelf, also priced. Another time I found a carved German creche priced as a set, missing the figure of Mary. I found Mary in another part of the store 10 minutes later with a price all her own. Then there was a porcelain tea set being sold AS a set – but with the tea pot and two of eight saucers being priced separately. Arrrrrghhhh! I know these all pet peeves but as someone who runs a non for profit thrift store let me enlighten you on some of the things that were mentioned. Tape: we tape to keep things together. People love to separate things. We find one shoe on this side of the store & one on the other. Same with dishes if we don’t tape them together they walk away or are separated as said above. I feel you on the crochet set. They over did the tape but I promis it would of been in 50 pieces all over the store if they hadn’t. Price tag crazy: thieves is all I have to say!!! People change tags, remove tags, write new prices on them and anything else you think was possible. So we tag a ton especially on higher priced items so they don’t randomly ask a volunteer and get that $15 vintage Tupperware set in mint condition for $3.00 cause the volunteer or employee doesn’t know what it is or the price. Staples: hate them!!!!! Hate!!!! Agree that they shouldn’t be used! Clothing tagging prong things: gosh do we try to put them in tags or other areas that won’t hurt the items but mistakes happen and we’re sorry for it. Also we try to standerdize where we put them so they are easy to find. Non complete or items not together and price separate: you wouldn’t believe how people donate things! You put everything together clean and neat well most people don’t we get 10 totes of mismatched, dirty items and we have to sort, pair & clean everything! Please understand & point it out to us we most likely will pair! I love the feedback & ideas! Please remember that just because we get it for free doesn’t mean we can just give it away. I have to pay for the employees, the building, racks, cleaning supplies and all the other things that it takes to run a business. I’m very lucky and the company owns the building. But most have rent /mortgage. I only have a 40% profit margin. That means we only donate 40c on every dollar. So truelly id love to never hear that statement again considering all the money we do make goes back to our charity unlike othe thrift stores. P.s. the amount of theft in thrift stores would blow your mind! This is to funny! but I agree people need to be careful when they are selling something thrift or no thrift that they don’t ruin theses treasure with tape which can strip off the paint on some of these valuable pieces. Great post!